OTTAWA, March 30, 2017 – Freedom. The new world. A willingness to sacrifice. 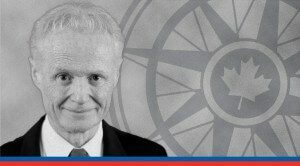 These are the unique qualities that make Canada a great nation, declares Brian Lee Crowley in a new commentary. Multiculturalism, public health care and the Charter of Rights and Freedoms are all well and good. But these qualities drive at the essence of why true patriots love Canada, says Crowley. “The willingness to sacrifice in order to protect the freedoms uniquely available to us in the New World: now that, ladies and gentlemen, is a country worth celebrating”, says Crowley. The commentary is based on a speech he delivered at the Macdonald-Laurier Institute’s Confederation Dinner, held Feb. 16, 2017 at the Canadian Museum of History. Crowley’s commentary also offers up a defence against Canadian history. For many young Canadians, he notes, Canada’s history is filled with racism, sexism, homophobia, colonialism, militarism, genocide, and environmental destruction. But this betrays an ignorance about our country, how it came to be, and what it represents. “Looking solely at our past errors is not the right standard by which to measure Canada and its great achievements”, says Crowley. To read the full commentary, titled "Celebrating 150: Why true patriots love Canada", click here.